The Slickery Road : I'll Get It! Have you ever watched a contestant on a game show face the decision of what door to choose for his/her prize? 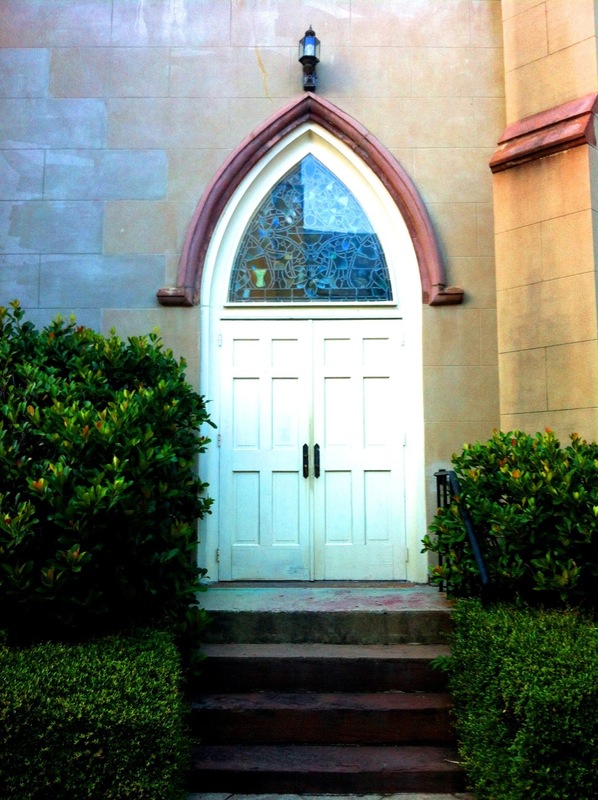 Usually, there is an amazing gift lurking behind one of those doors. The other door though? Not so much. The contestant's choice will determine their fate. Will they be handsomely rewarded or left empty handed? In life, we are constantly bombarded with choices. At the end of the day though, usually there is one choice that leads to the "prize" and one that doesn't. "This door stands between you and fire. Those were the words on a door in my old office building. Obviously, these words were meant to protect the employees if a fire occurred, but they are applicable words to our spiritual lives as well. Genesis 4:7 says, "…sin is crouching at your door; it desires to have you, but you must master it." Each of us faces the temptation to sin, but we have a choice as to whether or not we open the door to it. In 1 Peter 5:8 we are told, "Be self-controlled and alert. Your enemy the devil prowls around like a roaring lion looking for someone to devour." When we open the door to evil, we walk freely into a territory that poses great threat to our spiritual well being. If we could put a sign on that door, maybe it too would read, "This door stands between you and fire. Keep it closed." So, what’s behind door number two? The ultimate prize package! Revelation 3:20 says, "Here I am! I stand at the door and knock. If anyone hears my voice and opens the door, I will come in and eat with him, and he with me." Now that sounds like my kind of door! Jesus and food? I think I just hit the jackpot! Excuse me just a sec, I’m gonna get the door! Jesus is patient and persistent in trying to get through to us. He stands patiently on the other side of the door and allows us to decide whether or not to open it and invite Him into our lives. There's no fire on the other side of this door, and there's no prowling animal waiting to devour us. Rather, there’s a life filled with promise, hope, provision and peace. Perhaps the sign on this door should read, "This door stands between you and God. Keep it open!" When God knocks on the door, I want to be the kind of girl who immediately springs from her chair, and shouts, "I’ll get it!" What about you? What door will you choose? Will you opt for the handsome reward or will you end up empty handed? Heavenly Father, thank You for the freedom to make choices in our lives, and for the opportunities and blessings You provide. When we walk down the road filled with temptation Lord, please help us to open the door that leads to You and the glorious reward of eternal life You have promised. Sometimes it is so difficult to appreciate that the choices we make can have such great repercussions. It is hard to understand that seemingly trivial decisions can impact the ones who we care about so profoundly. Sinful choices that we may honestly think are victimless or trivial are still sinful choices. Our belief in the trivial nature of the sin is often, in fact, due to the devious nature of sin itself. The door that I want is the one that is closed between sin and me, between good choices and bad. I want to close that door after I have invited Jesus in and throw away the key. Thanks for your writing. I look forward to each new entry. This is great! I love all those verses and your word picture sums up things so wonderfully. My favourite part of your post is the prayer at the end....from our mouths to His ears. Fits in with a conversation God and I had today! :) Thanks for sharing, Karen! Isn't it neat how God speaks to us? He's drives His points home to me many times through a blog or devotional. I'm honored to simply be a vessel through which He speaks. Well written, and so clear. Thank you. Thanks for reading and leaving a comment! I appreciate your encouragement. Loved it!! Very well written!! Thank you for sharing your post with us.